Build Trust. One Conversation at a Time. Communications efficacy is critical for leaders, trusted advisors, and talent across the spectrum. Most people are well meaning and want to do great work and get along. But when the stakes and pressures escalate we often default to interaction styles that can be counter‐productive. Conversations are more than words and exchanges of information. Each conversation has the potential to trigger a reaction – emotionally and in our neurochemistry – that can either shut down or open up our levels of trust; our ability to listen and hear; and our ability to connect. Conversations have the potential to build (or break) relationships, promote (or obstruct) understanding, foster (or impede) trust. Some of the derailers are invisible. Conversational Intelligence® makes the invisible more visible and brings to light new ways to relate with others and ourselves. Myth Alert! It doesn’t matter if you are a natural conversationalist or quieter by nature. 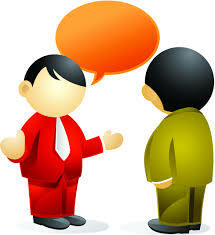 Nor is Conversational Intelligence strictly about what phrase(s) to say or quick tips. It goes much deeper and teaches skills and a way of being (with ourselves and others) at a more authentic level. Gain confidence Learn strategies and rituals to prime yourself and others for more successful dialogues, relationships and outcomes; and more!